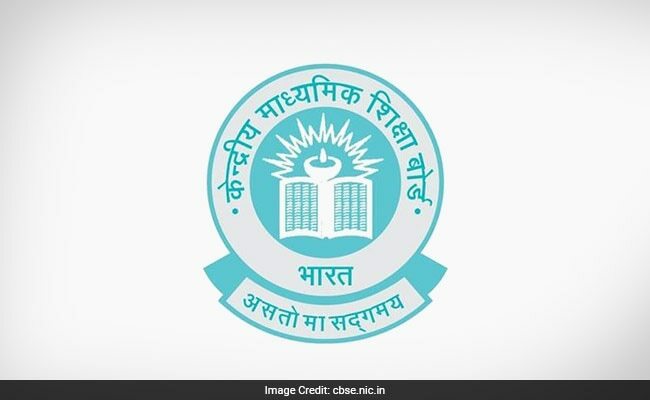 Central Board of Secondary Education (CBSE), on the eve of Teachers' Day, sent a letter to all the teachers and saluted them for their selflessness and passion for teaching and educating for a better tomorrow. Teachers' Day 2018: Central Board of Secondary Education (CBSE), on the eve of Teachers' Day, sent a letter to all the teachers and saluted them for their selflessness and passion for teaching and educating for a better tomorrow. The Board, in the beautiful and inspiring letter posted on the official website, also called the teachers as its strength and pride. India celebrates National Teachers Day on September 5, the birth day of scholar and philosopher Dr Sarvepalli Radhakrishnan. "We at CBSE, hold our teachers in high esteem. We salute your selflessness and your passion for teaching and educating for a better tomorrow. You are our strength and pride," the letter from the Board said. The tallest mountain in the world, Mount Everest, cannot be scaled from the South side (that is, from Nepal side) without the help of the "Icefall Doctors". Over two kilometers of the climb from the Base Camp of Everest to its summit is through a moving river of ice, studded with a lethal maze of the deepest of crevasses and the steepest of walls. This is known as the Khumbu Icefall. The crevasses in the icefall are known to shift and tumble huge blocks of ice on an unsuspecting climber and the ice towers are known to crumble and collapse without warning, making it the most intimidating part of the climb. Ladders and ropes have to be fixed across the deep gorges and the walls of the Khumbu, to clear the path for the sturdiest and most skilful of climbers. These ladders and ropes are fixed by a handful of courageous Sherpas known as the "Icefall Doctors". They have the magical ability to tap on the ground next to a crevasse, or simply putting their ears against the icy floor or wall, for knowing exactly whether that portion of the mountain is capable of holding a ladder or a rope for the climb season. Their ears literally work like stethoscopes. They obviously fix ladders and ropes at a huge risk to their lives. The job of an icefall doctor is often considered one of the most challenging jobs; however, these Sherpas do it, because in their selflessness, they want many climbers to be able to experience the peak of Everest. For our children too, their world is a confusing quagmire of emotional crevasses and high walls of knowledge. You, as teachers, are the ones who fix and hold the ladders and ropes for students to access, then climb and reach the heights of knowledge and learning. Like the Icefall Doctors, you tap the potential of each student. You identify and clear their path to success. While parents give roots to the child, you shape their minds, and give them wings to soar high. You prevent their pitfalls; you hold their hands and guide them towards better values, imbibing of skills, and a qualitative life. Who says heroes are found flying against gravity towards the sky, dressed in flowing capes and mysterious masks? Heroes of this world are found in classrooms, teaching and guiding! This world is indebted to teachers, for you build nations and global societies, by shaping the foundational years of children. In fact, you are changing the world, one class at a time! You are the doctors without stethoscopes that every child in our country must have access to, to be able to cross her set of crevasses and walls. We at CBSE, hold our teachers in high esteem. We salute your selflessness and your passion for teaching and educating for a better tomorrow. You are our strength and pride. We wish you a very Happy Teacher's Day!"